Please note: These products have been tested extensively over almost 12 months (since Feb 2018). 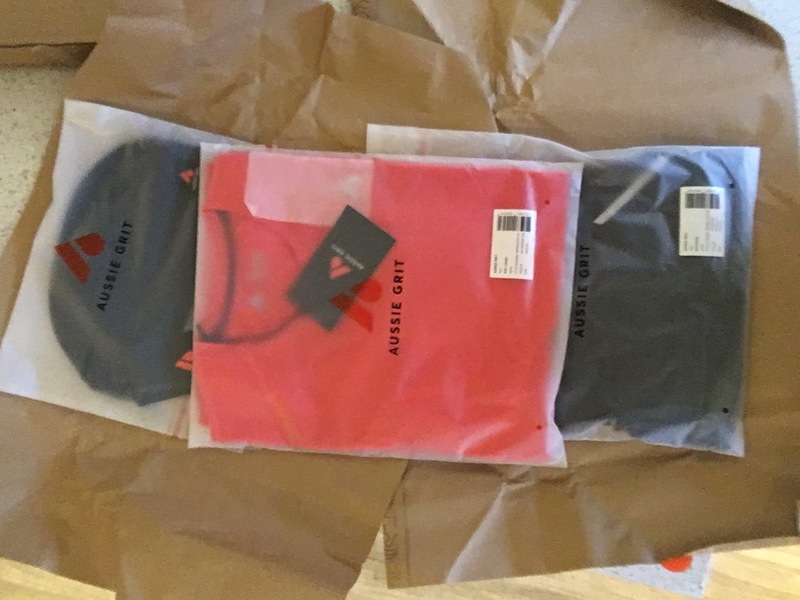 As part of their launch into the UK market, I was invited to test and review a range of Aussie Grit trail running apparel. The brand was completely new to me so I did some research on the brand, their ethos and plans before agreeing to this. Andrew Theaker, had no problem with my suggestion that the review be written after testing over a period of 6 months minimum. I chose to review the flint Men’s Performance T-shirt, flint men’s running shorts, flint men’s beanie. 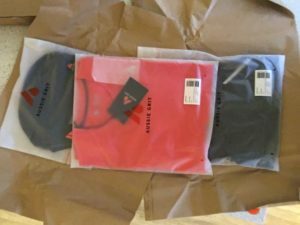 Initial impressions when the products arrived were very favourable: All packaging was recyclable and the fabric very much suggested quality. So let’s start with the Flint Men’s Performance T-shirt. Fit is and continues to be excellent. Said to be ‘comfortable’ fit it actually sits on you more like an athletic fit – which was perfect for me because I don’t have the mountain goat build some other brands design their fit around. I’m 5’10” so medium was ideal for me. The fantastic thing is that this t-shirt has been battered in terms of very regular wear on the trails and many, many washing machine cleans! No matter how much I have sweated (and it’s a lot! 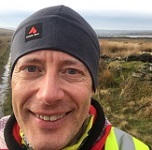 ), the fit does not get compromised when on a long run, nor when it is worn on its own, over a base layer and/or under a waterproof. The active cut on the arms has stayed very true indeed. For that excellent fit and the longevity of it I have awarded it 10/10. As mentioned above, I have worn this a lot in all weathers and had no problems at all with performance. For example chafing is something I can struggle with particularly as I am a ‘sweater’. The fabric and flatlock stitching use soft thread and I certainly benefitted from this. You can genuinely tell this is the brainchild and baby of ex F1 driver Mark Webber. His reputation for being a very hands-on perfectionist is evident in the products. Possibly influenced by his F1 career, he doesn’t believe in unnecessary gimmicks for the sake of it either. So it’s all about what is needed to deliver a very high quality product at value for money. What I like about these shorts best is the flat lace-free waist band which is integral with the soft touch inner compression fabric. Honestly, these are the comfiest shorts I own and the band is a key reason why. 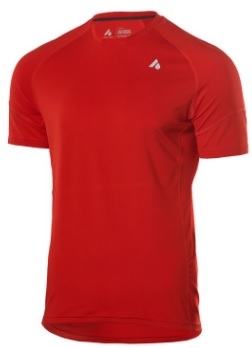 That soft touch inner compression offers real comfort as does the incredibly lightweight outer fabric. 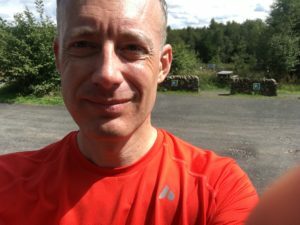 The inner compression does not ride up and the flatlock seams mean I have not felt any friction discomfort during any run – in +30C or at sub-zero as I was last night. Building on the above, I have run in these shorts and had absolute drenchings on occasions. Because of the design, the durable outer fabric wicked to such an extent that the shorts did not become weighed down – and it protected the inner compression from getting wet, heavy and uncomfortable. Exceptional performance in my view. So the ultra lightweight outer layer, coupled with the soft touch inner compression have delivered exceptional performance. 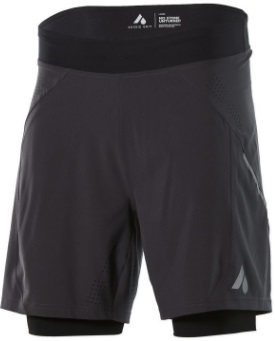 Much like a similar pair of inov-8 trail running shorts I purchased around 3 years ago. Both are my favourite shorts by some distance. I awarded this 10/10 mainly due to the above. 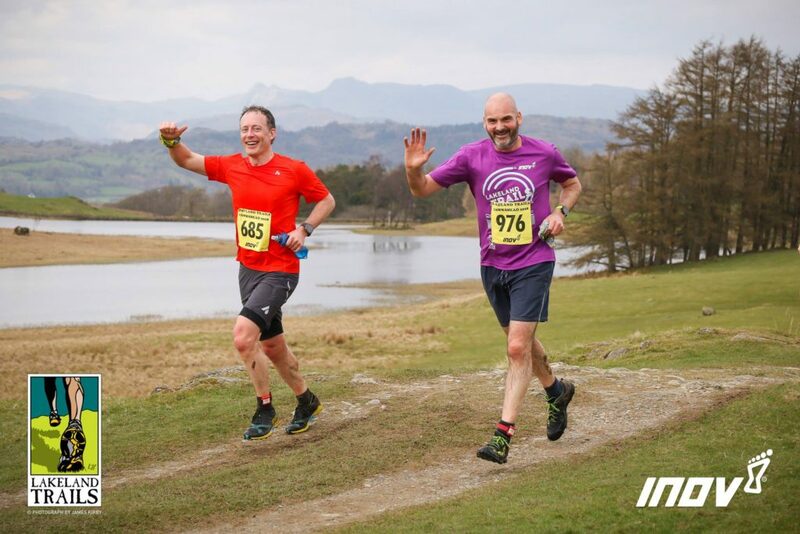 If you want a few extras you’ll really enjoy the thought that has gone into the practicalities of these shorts, particularly if you’re out on the trails for a while. It did slightly puzzle me because you might question if they are unnecessary extras given Mark’s F1 background and the idea of what is essential. 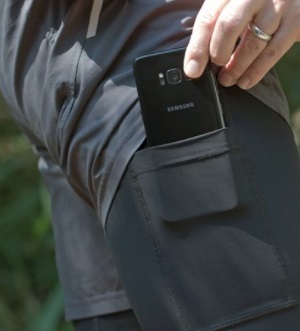 So there is a very smartly placed phone pocket on the right thigh. 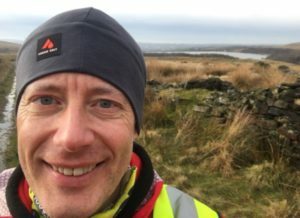 I only take a phone with me on runs for in case I need to be in contact should I get injured, or be going on a scenic group run – I don’t tend to take tonnes of selfies. On every run I have stored my iPhone in this pocket I have pretty much forgotten it was there due to the way the compression keeps the phone from moving around. These shorts are at RRP of £58.00. Not the cheapest but as you’ve read above they are very high quality and durable shorts indeed. I’d suggest they are excellent value for money. Rather than breaking this down into the 3 elements as with other product above (how much detail do you want on a beanie?!) I simply offer you a brief description below. As you can see on the pics below I wear this for more than running. It’s incredibly lightweight, soft touch, warm yet wicks brilliantly, and a great fit. The wide band makes it exceptionally comfortable too – and you have the added bonus of not having one of those marks right across your forehead that you get with thin seamed bands that other brands sell. It’s very durable too – having outlasted an expensive beanie I bought from a very well known UK brand where the seams are coming apart. 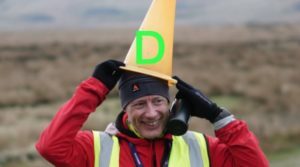 This is why I regularly wear it under my helmet when cycle commuting through winter – and cycling to and from running coaching. 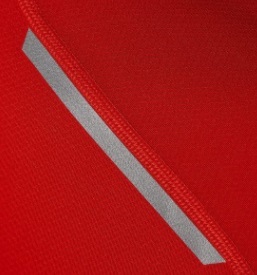 Fabric is merino blend (81% polyester, 11% merino, 8% elastane). So for me, Aussie Grit have nailed it with this beanie with it’s RRP of £28.00. By the way, you may wonder why all ‘Tried n’ tested’ reviews to date are so positive. This is what I’ve found on all product reviews completed. You’ll hopefully appreciate this because in a forthcoming review of some compression tights by a more well known brand the review will not be scoring anywhere near as high as this. If you found this review helpful, please let me know by commenting below.